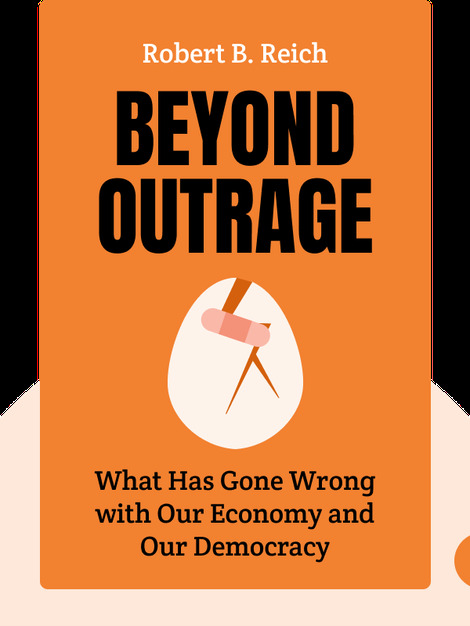 Beyond Outrage provides a sobering analysis of what has gone wrong in American politics and economics. Looking at the distribution of wealth and income imbalance, it convincingly argues that we must wrest government from the hands of the regressive right. 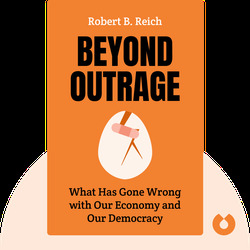 Robert B. Reich is a Professor for Public Policy at the Goldman School of Public Policy at the University of California. He has worked for three presidential administrations, last serving as Secretary of Labor under Bill Clinton, and has also worked as an adviser for Barack Obama. In addition, he has written twelve books that champion liberal causes.